Earn $28.00 in Rewards credit (2800 points) What's This? ENVE's approach to aerodynamics has always been to find the best solution for the complete system of the bike and rider, because they understand that there is more to aerodynamic performance than a low drag figure in the wind tunnel. This approach can be seen in their wheels, where they target stability alongside drag reduction to make you as fast as possible on the road in real conditions, where it counts. 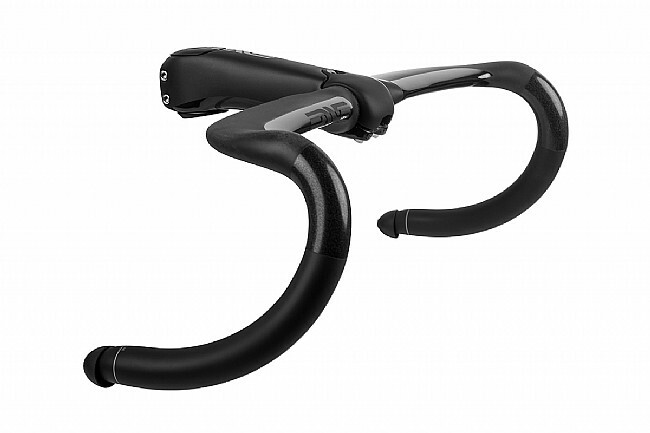 It can also be seen in their pioneering SES Aero Road Handlebar, which delivers a speed boost through rider positioning as well as its shape. 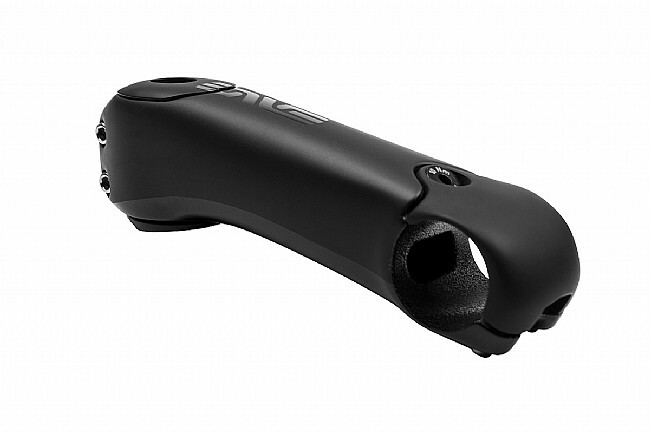 The SES Aero Road Stem is the natural partner to that handlebar, using the same parallel design considerations. 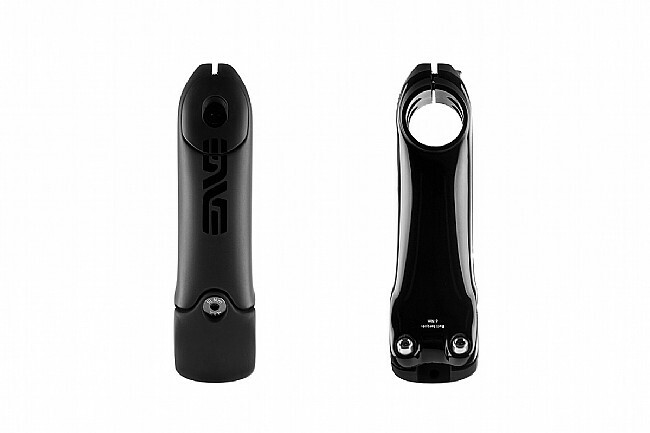 First, ENVE developed a shape with reduced frontal area, smoother airflow, and lower drag. Next, they designed in beautifully simple methods for adjusting the angle and fine tuning the length. 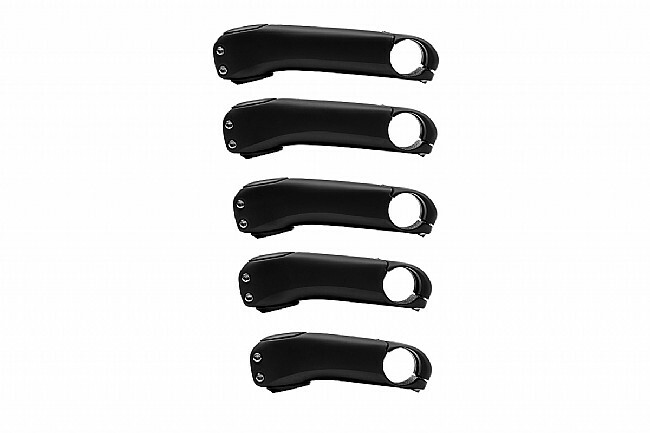 The result is a lightweight stem that fits any of our handlebars and makes you faster. 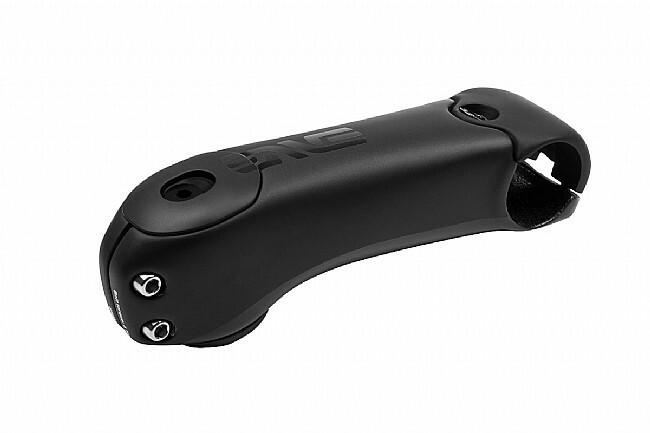 Crafted from carbon fiber, this adjustable stem delivers the perfect fit with minimal aero impact. Rise: -12º fixed, -17/-7º with angle shim. 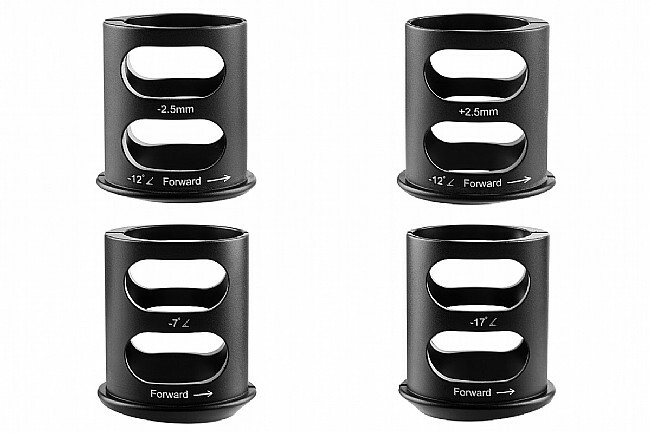 Stack height: 42.5mm with length shim / 45.5mm with angle shim. Made a larger impact on the overall look of my bike then I anticipated. I was most interested in this stem because I like the -12 option since it makes this stem virtually horizontal. This stem is very stiff and the adjustable angle shims are a really cool concept if you like to tinker with your fit. The overall package is a bit heavy, but when paired with the matching computer mount it's a very slick setup and worth the extra grams. Features nice simple unobtrusive graphics that should suit any build.